Main Feature: Extended interview – Peggy Sheehy, Marianne Malmstrom and Bron Stuckey talk about the use of virtual worlds and online computer games as learning environments. Regular Features: Education in the News, Cameron and Corinne discuss pseudoscience and research based practice in education; AITSL’s Teacher Feature, teachers discuss ICT in education; Mystery Educator Competition, a new puzzle! Timecode and links coming soon! Minecraft image created by Mike Prosser, used under CC 2.0 License. Text and titles added. 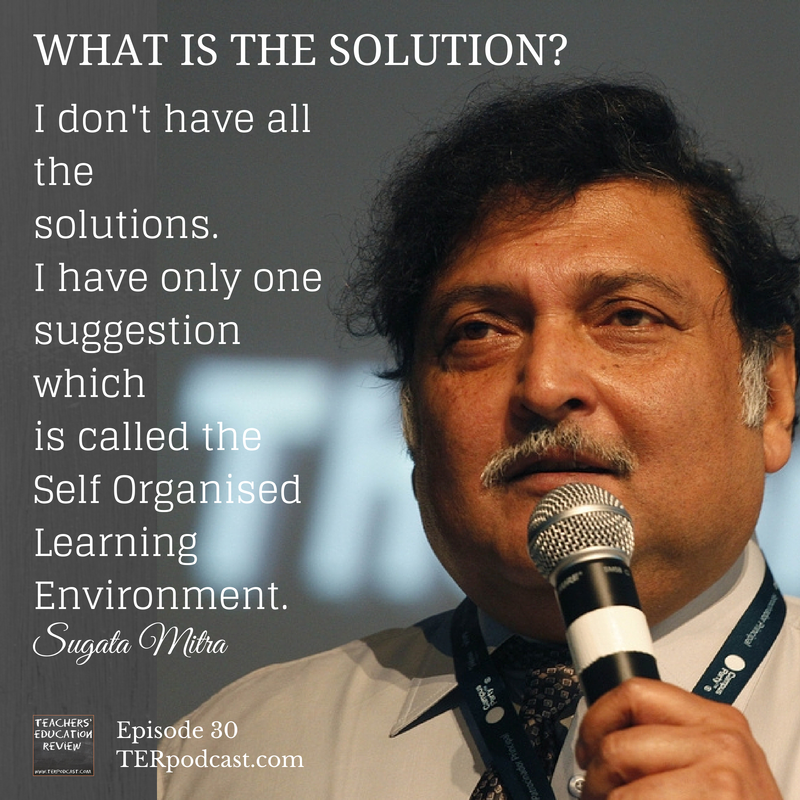 Main Feature: Sugata Mitra speaks with Corinne about Self Organised Learning Environments, and Stephanie Smith, a school teacher in NSW, discusses her experiences with SOLEs in a school setting. Regular Features: Dan Haesler asks ‘What’s in it for Google?’ in Off Campus; Cameron and Corinne discuss Tertiary Education funding and School Chaplains in Education in the News; Teachers talk about the importance of professional relationships in Education in the News; Mystery Educator competition. new puzzle!